Share your insights and experience. I would like to know about your experiences of change – the good, the bad and the ugly. Experience of coping with business change or leading business change. Your experience of Change Catalysts you have admired. Your experience as a Change Catalyst yourself. Send me an email for me to share with others on the web site or newsletter. NB: By sending me an email, you agree to permit me to use your comments in future posts, web sites and/or publications. If I post your comments on one of my web sites or even include them in a future newsletter or publication, I will undertake my best endeavours to ensure anonymity of the source. 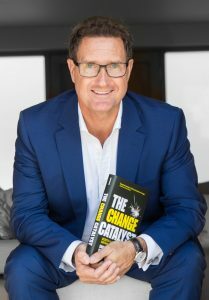 The Change Catalyst is available on Amazon.com, Amazon.co.uk and Booktopia.com.au.